It�s a technological disrupter with exciting potential applications in oil and gas exploration and production. For example, Festo has used digital pneumatics to control and monitor latch opening on the fingerboard of an oil exploration platform. The benefits include cost and time savings in installation, a reduced safety risk for employees, lower energy cost and increased reliability through preventive maintenance. The pneumatically based fingerboard-latching system for drill-rig tubulars safely indicates the exact locked or open position of each latch. This system operates reliably in harsh water- or land-based drilling environments and eliminates hard to maintain wire harnesses and electronic sensors on Fingerboards. This next generation pneumatic solution indicates to derrickhands on a colour touchscreen display the exact open or closed position of every fingerboard latch. The reliable, rugged pneumatic system eliminates the need for wire harnesses and electronics on fingerboards. 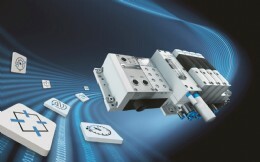 A Festo application team developed this drilling industry solution utilising the Industry 4.0-based VTEM Motion Terminal. The VTEM Motion Terminal is the world�s first digital pneumatic system. Downloadable apps create an almost unlimited number of functions for the motion terminal. A single motion terminal can replace 50 different hardware components based on its combination of apps. The VTEM Motion Terminal with fingerboard-latch app measures the position of each latch from closed to 100 percent open by analysing cylinder air pressure and flow. The system can display measurements graphically via human machine interface (HMI) or communicate to a supervisory controller. 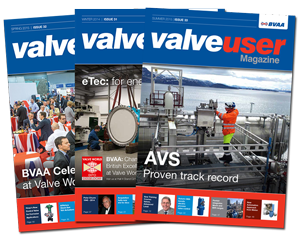 Each VTEM smart valve in this application replaces two ordinary pneumatic valves for a 50 percent savings in the number of values utilised. Using the VTEM Motion Terminal in this application delivers cost and labour savings, improved operational reliability and energy efficiency, and enhanced safety when compared to existing control and monitoring solutions. The fingerboard solution also features cylinder seals enhanced for extended life in the specific environment where the rig will be located and a long-wearing corrosion-resistant coating that covers the exterior of each cylinder. Festo helped to lower time to market for OEMs by pre-assembling control cabinets. �We�ve had considerable feedback from companies in the drilling industry that unlatched tubulars such as drill pipes and casings are an ongoing safety challenge,� said Craig Correia, Director, Process Industries, North America, for Festo. �When you try to solve this safety challenge by installing electronic sensors and associated wiring 75 feet or more above the deck, they must be robust enough to handle extreme temperature swings, impervious to highly corrosive environments, and explosion-proof. Using a Festo Motion Terminal VTEM applies a new technology � digital pneumatics � to controlling and monitoring latch opening and closing on oil rig fingerboards. While performing all the functions of a conventional valve terminal, VTEM also conducts wire-free monitoring of the pneumatic cylinder to provide feedback to the control room on the position of each latch. This eliminates the need for a hazloc-compliant wired sensor on each cylinder, removing that ignition source from the fingerboard and generating significant labor and other cost savings associated with the installation and maintenance of wired monitoring. Motion Terminal software apps also can perform system diagnostics as part of preventive maintenance and increase energy efficiency throughout the pneumatic system. With these potential benefits, VTEM-based pneumatic latch control and monitoring can deliver a lower total cost of ownership, while reducing safety risks and improving operational reliability compared with conventional control and monitoring solutions.